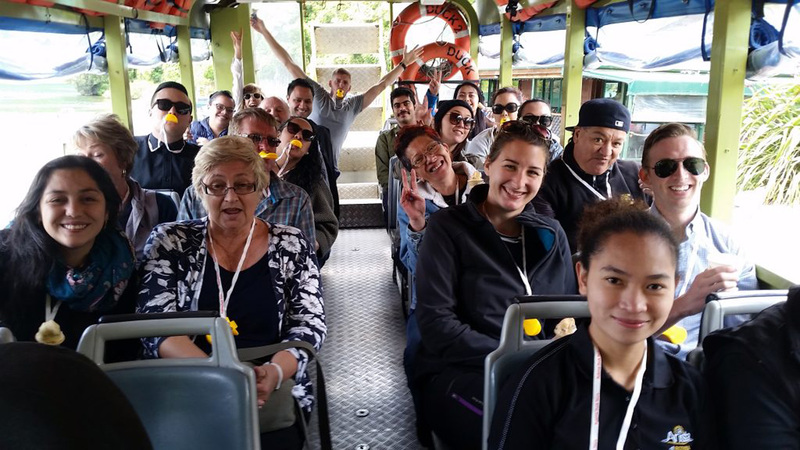 Looking for a unique and fun class experience, one that will educate and entertain? 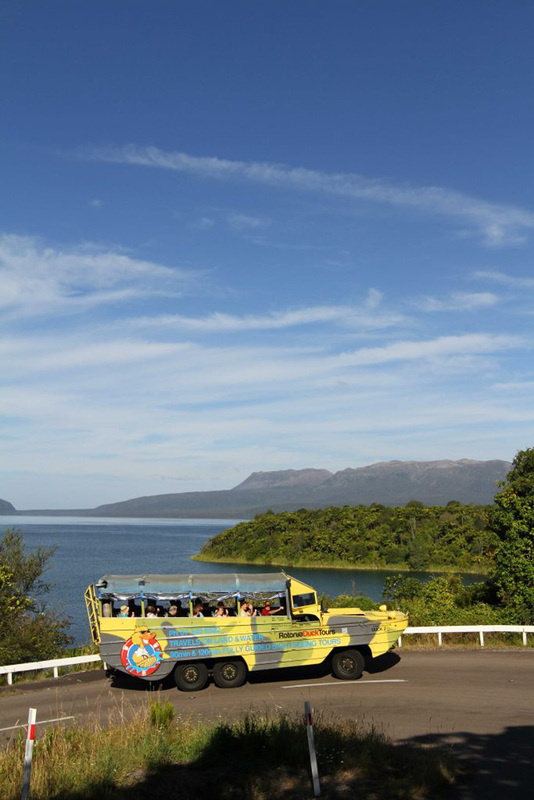 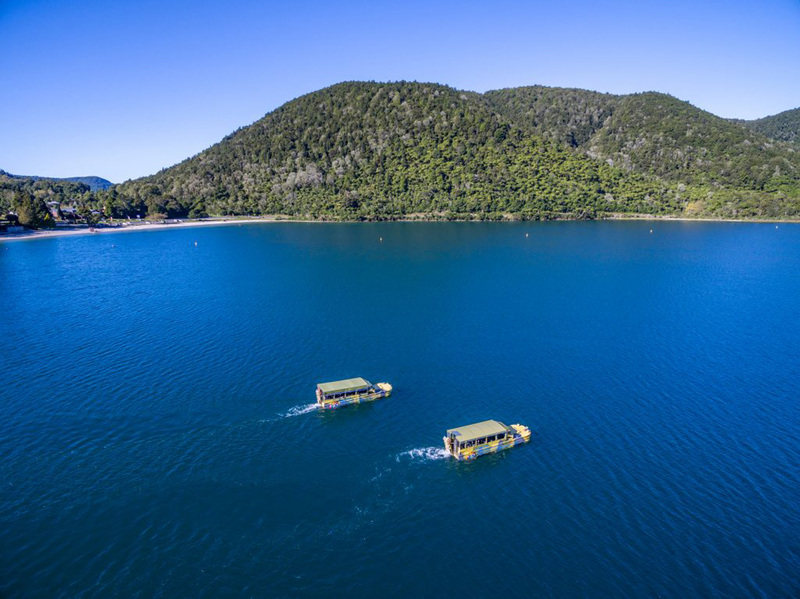 With Rotorua Duck Tours, students can now experience the once-in-a-lifetime opportunity of a ride in a fully-restored World War II amphibious vehicle. 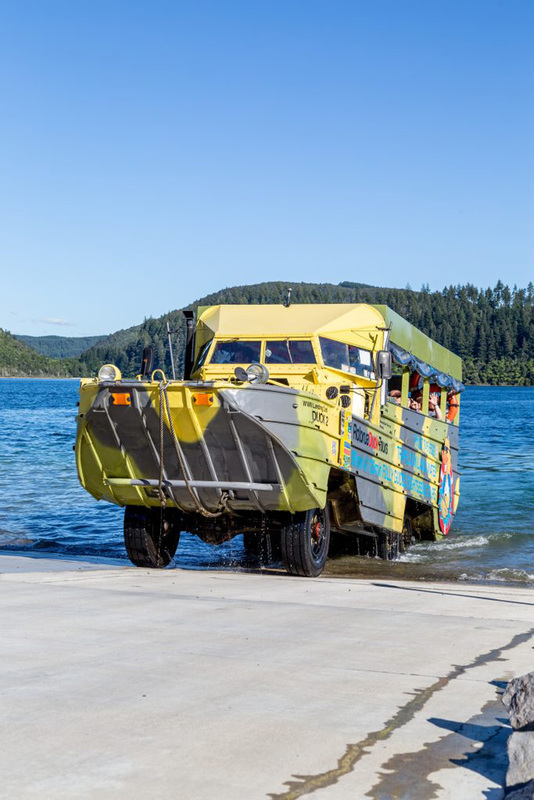 Affectionately known as the ‘duck’, this vehicle is able to drive from land straight into the water and out again! 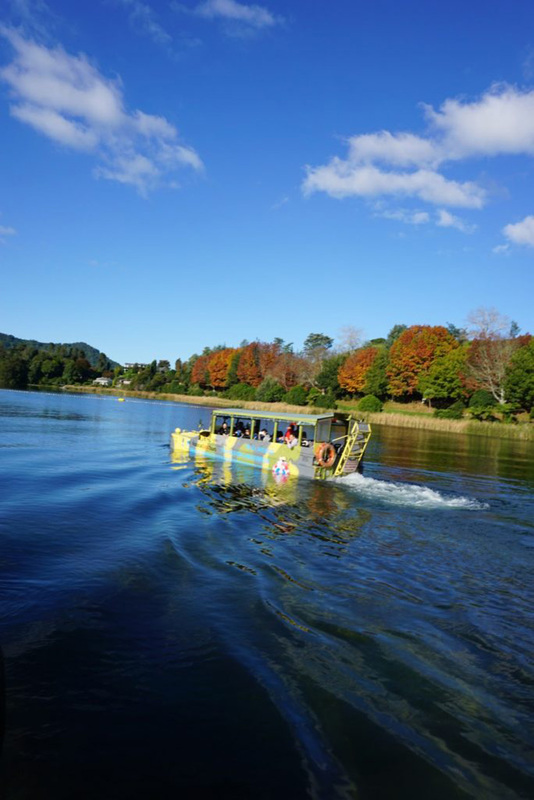 Rotorua Duck Tours is a great introduction to Rotorua with its history on people and the magnificent Rotorua Lakes region. 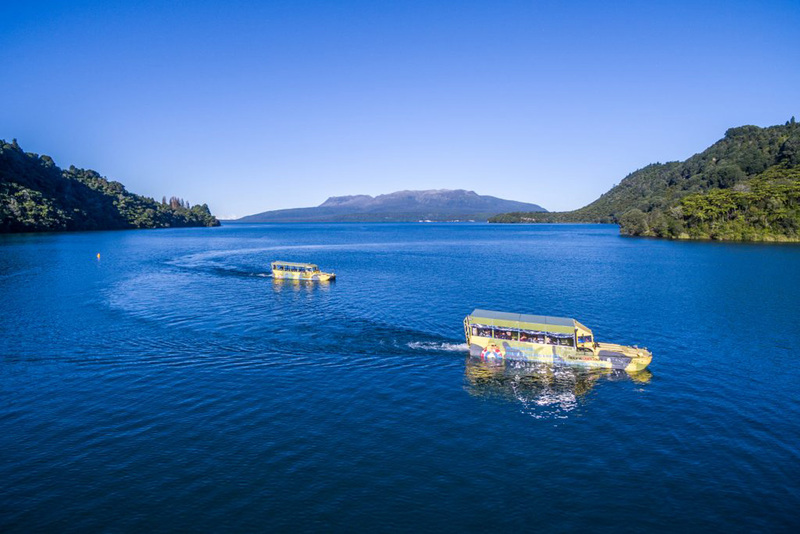 A specific talk and student worksheet on AS 91007 is offered for students taking the Tarawera Lakes Tour. 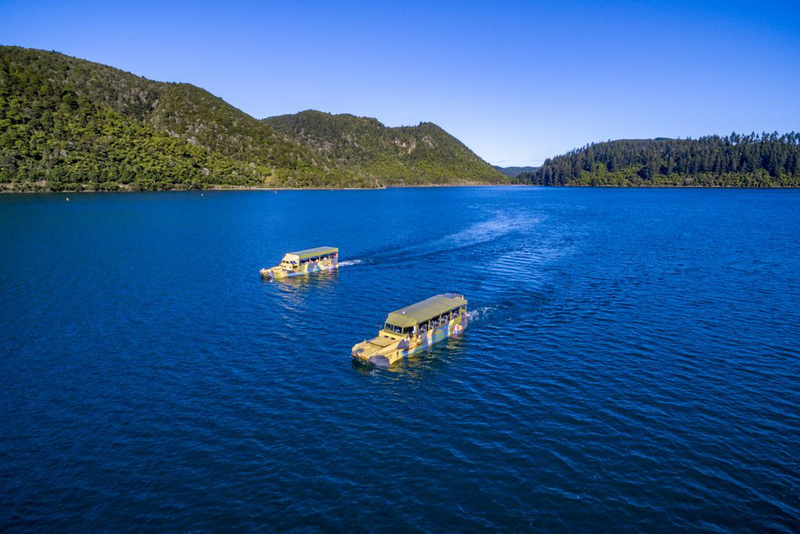 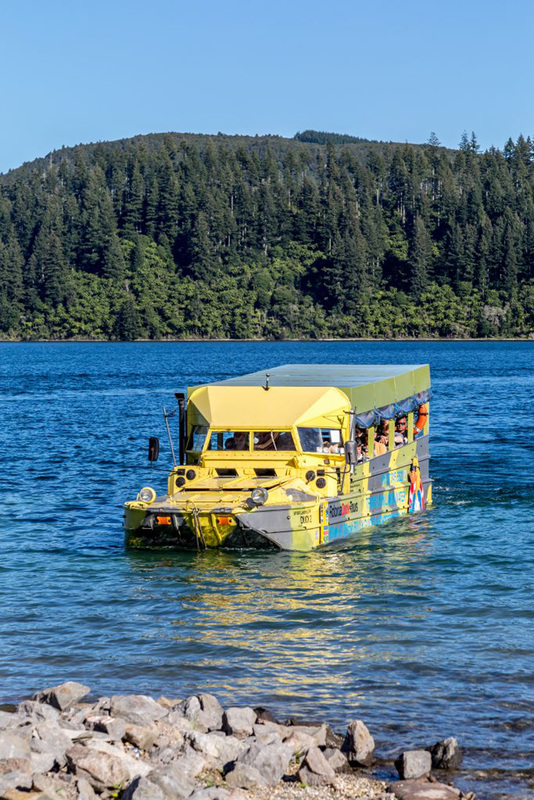 A Level 2 assessment task has been written specifically for Duck Tours on the contemporary issue of “Saving the Rotorua Lakes” which requires students to explain different view points on how to solve the water quality issues of the Rotorua Lakes. 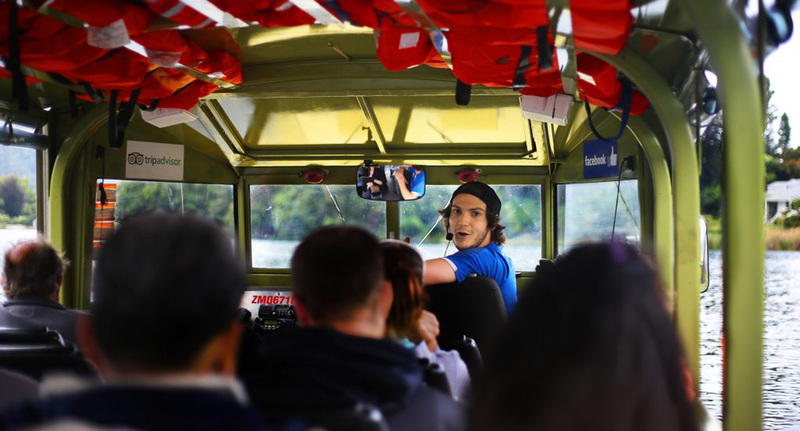 This individual assessment activity requires a tour of the affected lakes (Lakes Tour). 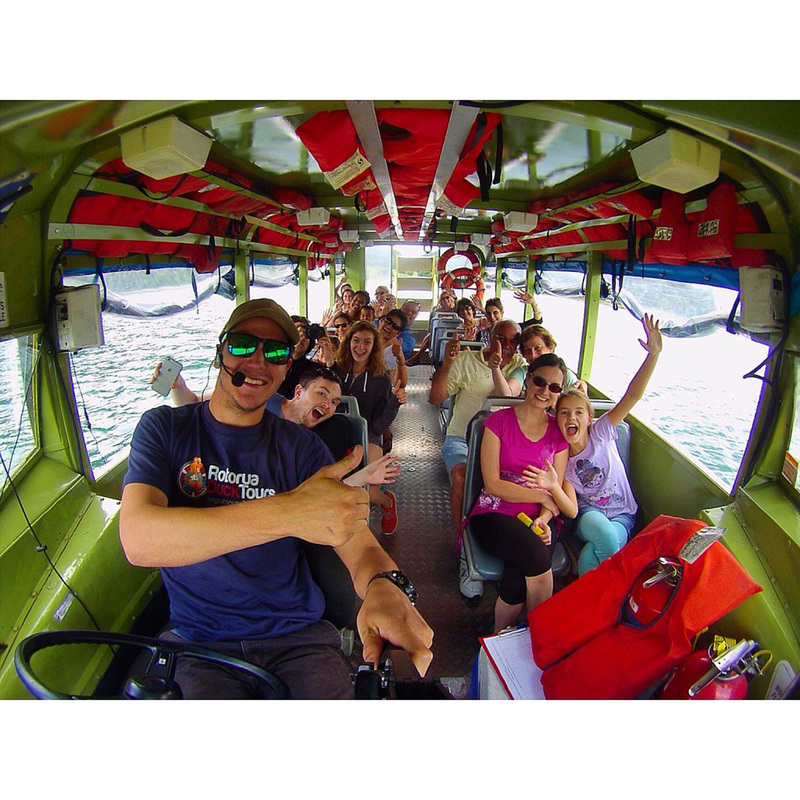 Curriculum based student talks and worksheets available on request. 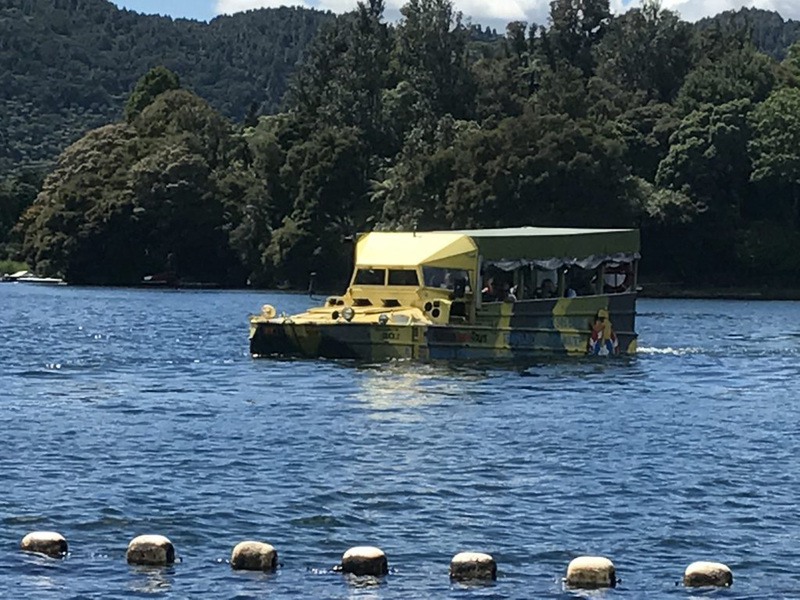 This assessment called “Saving the Rotorua Lakes” is based on the Rotorua Duck Tours commentary during the visit to the various Rotorua lakes. 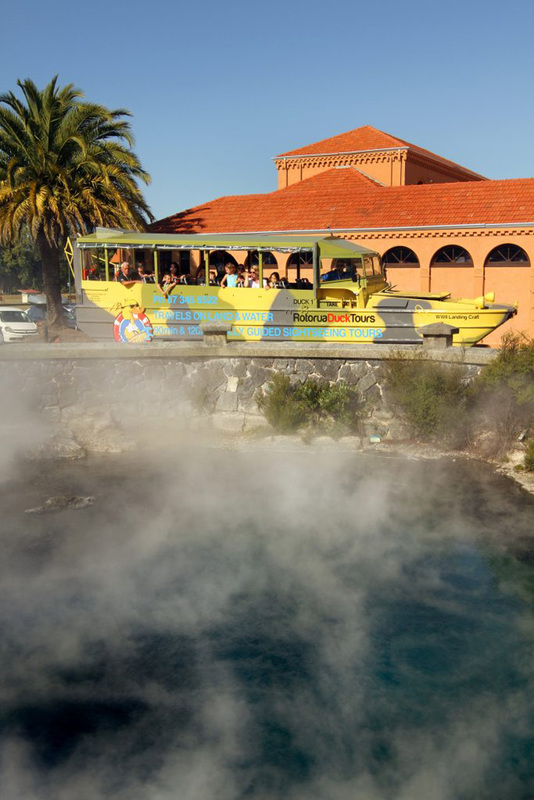 An Information Sheet on the viewpoints of people over time as to the causes and possible solutions is provided for students while a simple questionnaire allows students to find out contemporary viewpoints on the issue during their visit to Rotorua. 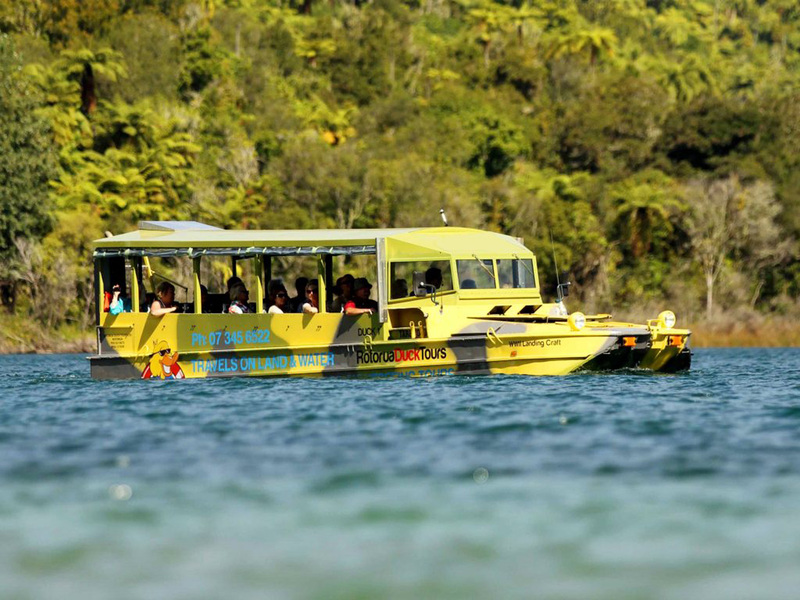 The task can be completed in parts during the visit to Rotorua or as a whole on their return to school. 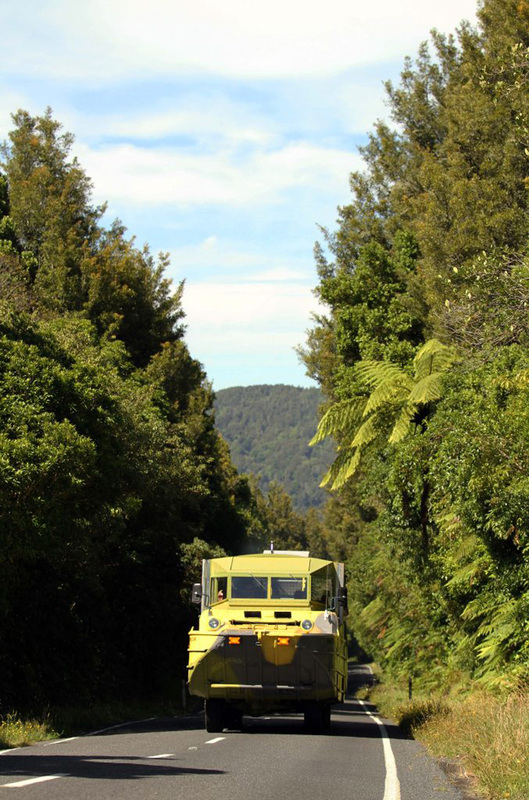 For teachers a list of internet sites, a guide to the assessment conditions and a detailed marking schedule is provided.